1830s-1850s autograph album that belonged to Phoebe Ann Janes, with most, if not all, of the autographs acquired while Phoebe was in Connecticut. I found a Phoebe Ann (Carpenter) Janes who had married Hiram Janes in 1837 in Wisconsin. That Phoebe was born in New York, and Hiram was born at South Hero, Vermont. They perhaps spent some time in Connecticut, living there for a while or visiting on occasion. Or Phoebe could be another Phoebe Janes. An acrostic by Rev. William Henry Bangs rules out the surname James. Interestingly, the album came with a note from the seller indicating that the album was purchased at an auction on Prince Edward Island that featured items from the estate of Dr. Julian Jaynes (1920-1997), an American psychologist. It's tempting to think that Janes and Jaynes were variant spellings within the same family. Above, Phoebe wrote her married name in the fancy circle printed for that purpose in this beautiful album published by J. C. Riker of New York, copyright 1835; the album contains 5 pages of tissue-protected engravings scattered throughout. I'm not sure of the date she wrote; it looks like 1839, but there are least three pages dated in 1838. 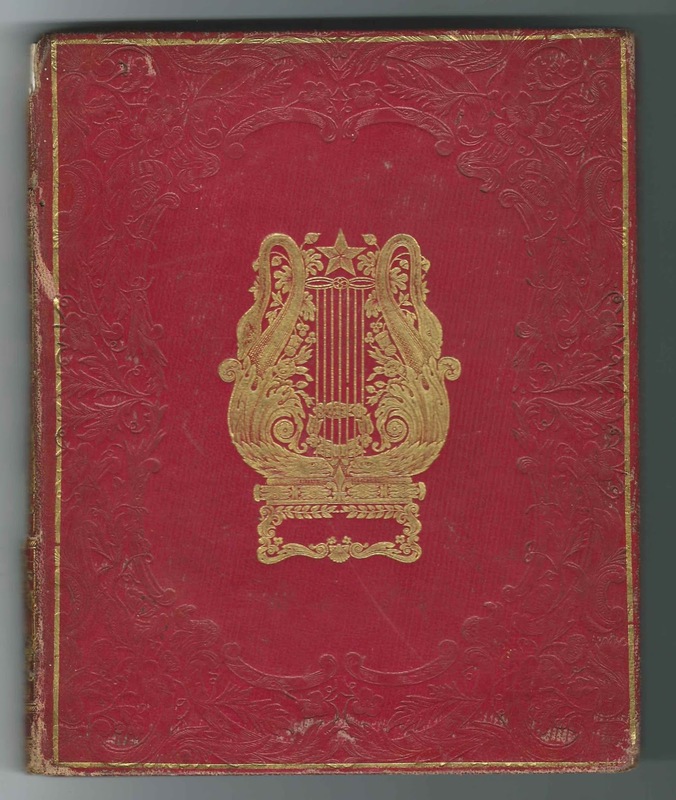 Perhaps the year written is 1837, and the album was a wedding present or acquired shortly after her marriage. Although the year looks possibly like 1834, that would place it a year before the copyright. 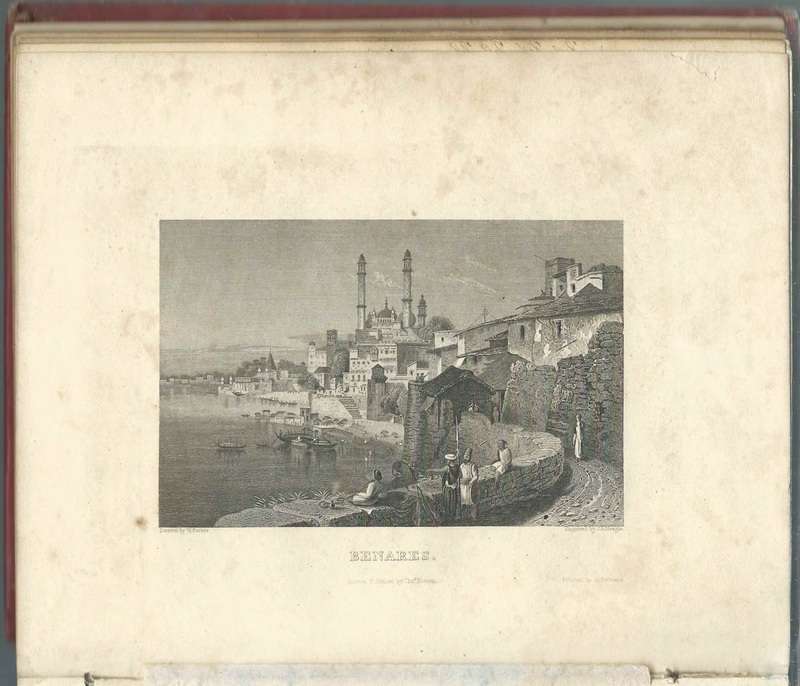 The album measures approximately 7-3/4" x 6-1/4" and contains nearly 30 sentiments, a few of which appear to have been inscribed by the same people. An alphabetical surname list and an alphabetical list of the signers, together with any personal information they offered, appear at the end of this post. Sadly, as was common in this era, many people signed with a first initial and a surname, or just initials, or as "Friend". Phoebe Ann Carpenter was born June 9, 1818 at Ellery, New York, the daughter of Thomas Greenman Carpenter and Lydia Chadsey (James) Carpenter, both Stephentown, New York, natives. 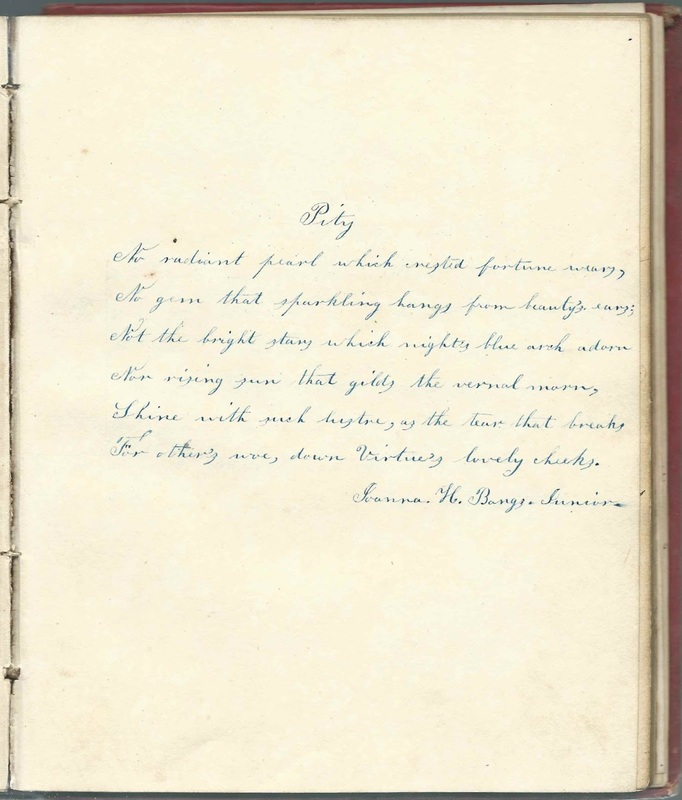 I believe Phoebe had seven siblings, one or more of whom might have inscribed a page in the album. On March 4, 1837, Phoebe Ann Carpenter married Hiram Janes, Jr., son of Hiram and Hannah (Andrews) Janes. They farmed at Johnstown, Wisconsin, and raised seven children: H. Louisa Janes; Lydia A. Janes; Ellen Alice Janes; Warren Westby Janes; Marvin H. Janes; Herbert Lovell Janes; and Appolina C. Janes. Hiram died in 1867, and it appears that Phoebe lived out the rest of her life with son Herbert Lovell Janes and family, perhaps on the farm that Hiram and Phoebe originally started. Phoebe died in 1902. 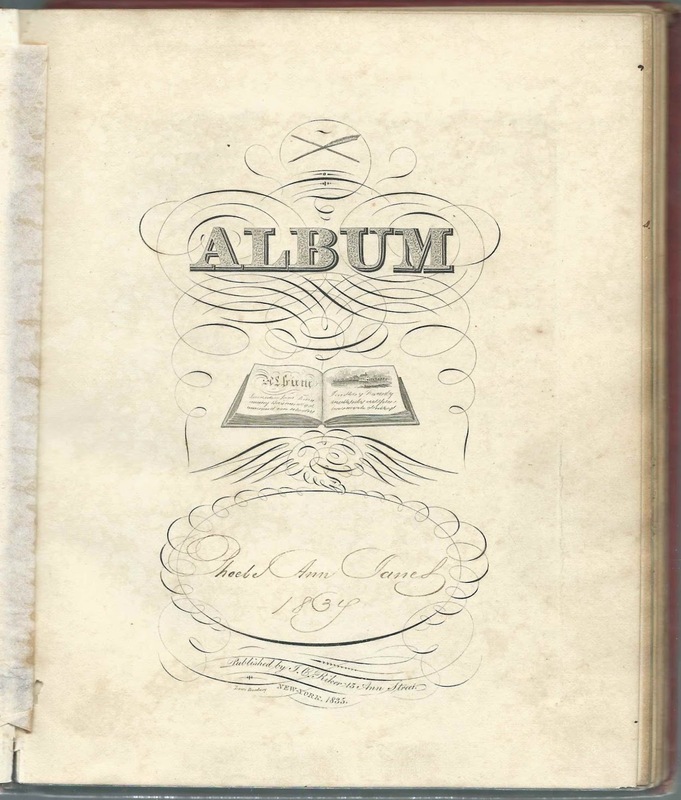 If you have corrections and/or additions to the information above, or an explanation for the Connecticut slant of this album, including that the owner was a different Phoebe Ann Janes, please leave a comment or contact me directly. Please also weigh in if you have information on any of the signers listed below. 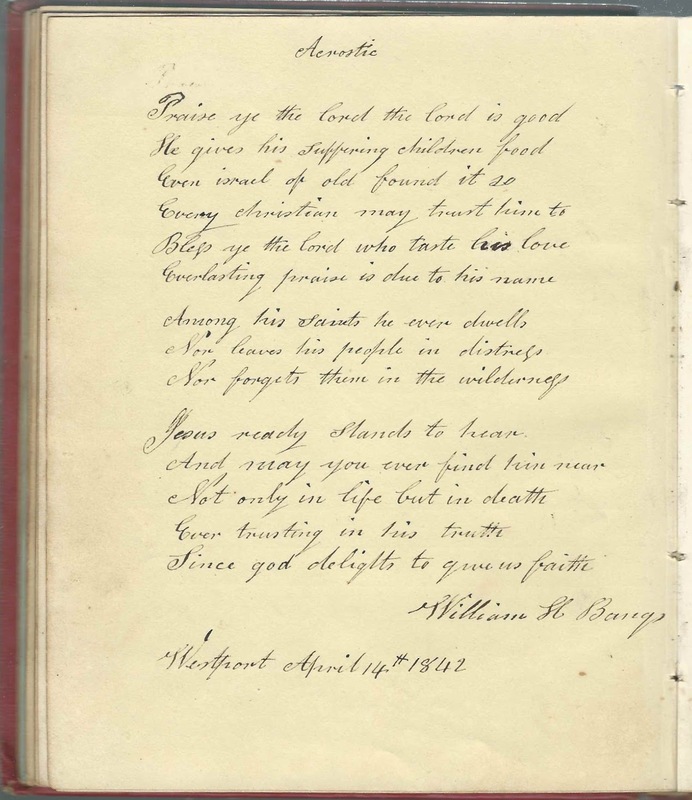 Three pages were inscribed by Rev. William Henry Bangs, author of the acrostic mentioned above; his wife Joanna H. (Reed) Bangs; and their daughter Joanna H. Bangs, whose pages were signed in 1841 and 1842. 2-page sentiment by A. W.
I. P. or J. P., signed at Norwalk, Connecticut, on December 25, 1840. 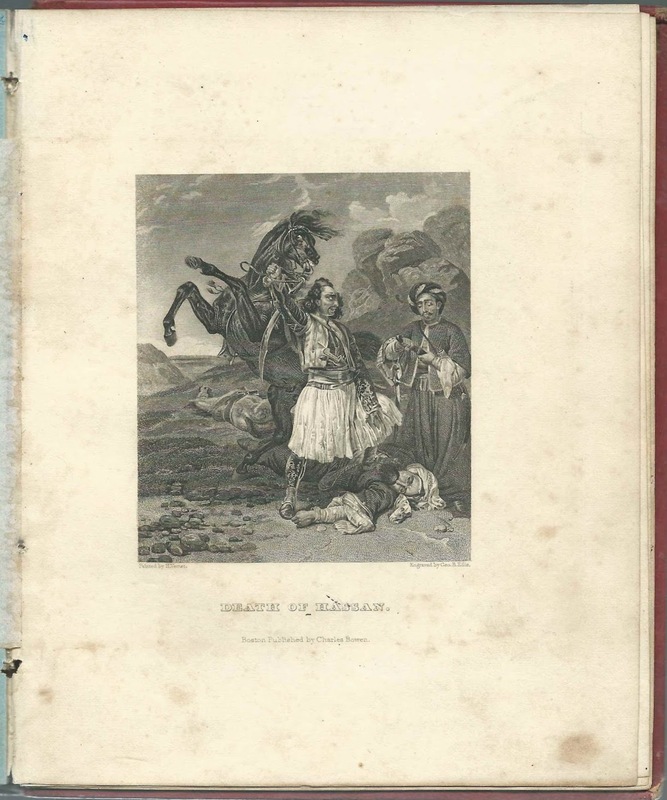 Wrote about "The Death of Hassan" on the page facing the engraving of same. T. W. M. or J. W. M.
George C. Bancroft, signed at Wilton, Connecticut, on May 9, 1840; he inscribed two pages in the album. J. H. Bangs, signed at Westport, Connecticut, on September 21, 1841. Presumably Joanna H. (Reed) Bangs, mother of signer Joanna H. Bangs, Junior, and wife of signer Rev. William Henry Bangs. Joanna H. Bangs, Junior. Daughter of signers Rev. William Henry Bangs and Johanna H. (Reed) Bangs. William H. Bangs, signed at Westport, Connecticut, on April 14, 1842. Presumably Rev. William Henry Bangs, husband of signer Joanna H. (Reed) Bangs and father of signer Joanna H. Bangs, Junior. John Davies, or John Daniel, signed at Wilton, Connecticut, on April 13, 1838. 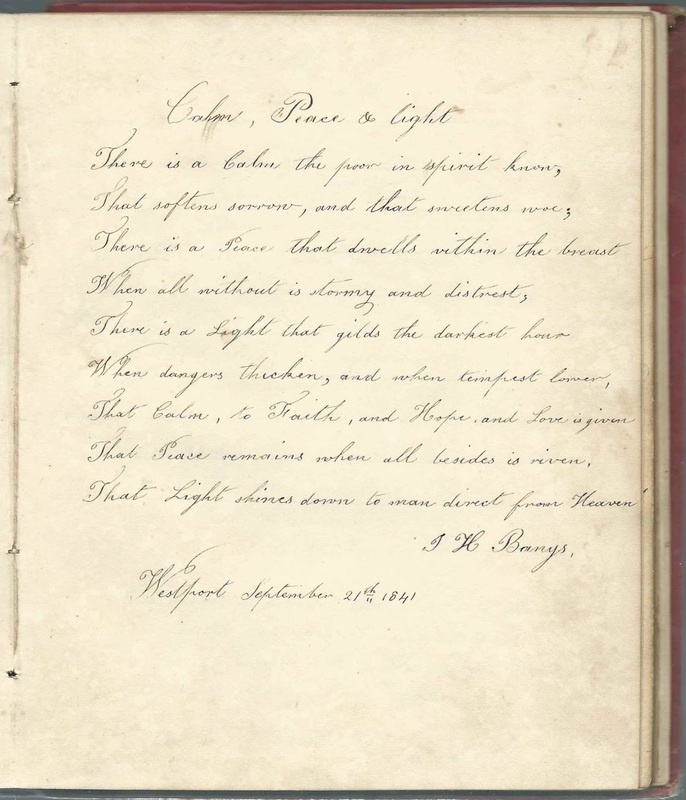 Stephen Hyatt, signed at Norwalk, Connecticut, on July 20, 1842; he inscribed two pages in the album and may have been the Stephen who inscribed two more. Phoebe Ann (Carpenter) Janes; album owner. A. Raymond. Perhaps Abigail (Crofoot) Raymond, wife of signer Josiah Raymond.